Welcome – we are so pleased that you have found your way to our website. The Itchen Valley comprises the four beautiful and friendly villages of Avington, Easton, Itchen Abbas and Martyr Worthy. 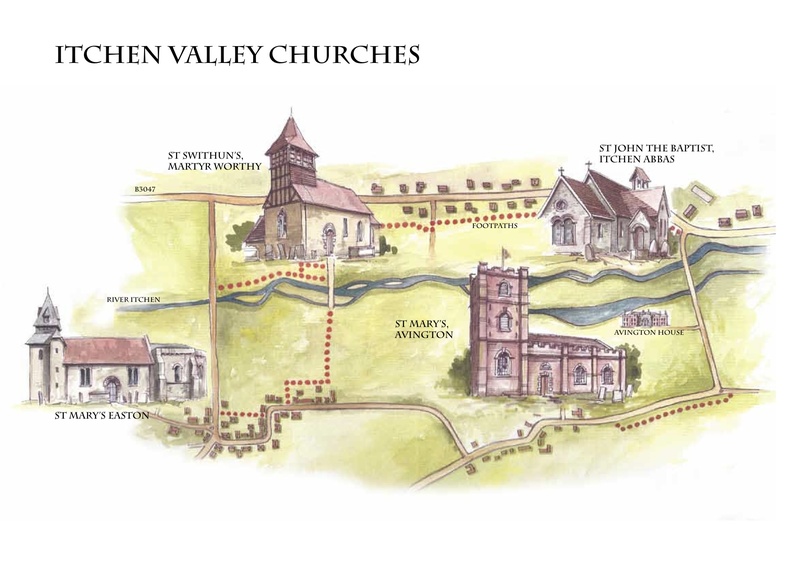 What does it mean to be Church in the Itchen Valley We are a welcoming church family, spread over the four villages with four churches. Our aim is to be at the spiritual heart of the Itchen Valley community, loving God and our neighbours and seeking to deepen and strengthen our relationship with Jesus Christ and to engage in His mission. To see how we propose to do this, please see our Parish Mission Action Plan above. We have a range of services and events which you can find out about on this site. If you wish to join us for any of them, you are most welcome. If you have moved into the area do please make yourself known by using our contact details and we hope you settle well into the valley. If you are looking for somewhere to worship and to find out more about God and his love and be involved in His mission, then we would gladly help you in that exciting journey. If you are already a Christian and would like to join a growing, thriving parish then do not hesitate to come along.